During the launch of Concordia’s new Webster library, a project that cost the school about $37 million, the Concordia University Library Employee Union President, Kent Cluff, claimed that “library staff have been forced to take a major pay cut,” in a letter to The Link. On Jan. 1, 2018, a Quebec law mandated that both employers and employees each contribute 50 per cent of their pension plan. Before the changes, Concordia had been contributing 70 per cent, and the employee 30 per cent. 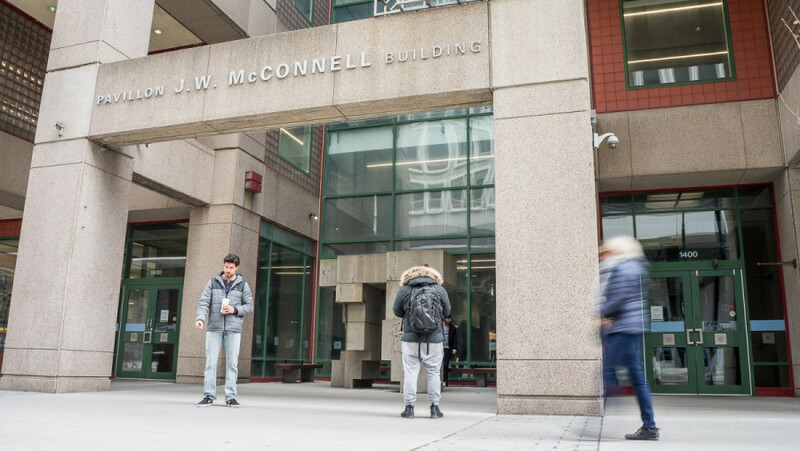 New collective agreements for the Concordia University Part Time Faculty Association and Library Employee Union has Concordia contributing 55 per cent of the pension plan, while the employee contributes 45 per cent. Concordia University President Alan Shepard said that while the University is mindful of the fact that employees are contributing more to their pension, he was clear that he didn’t consider it a pay cut. Under the old pension law, Concordia employees would contribute about 4.5 per cent of their annual earnings up to the year’s maximum pensionable earnings set in the Quebec pension plan, which in 2018 is $55,900, and 6.5 per cent for any earnings past that. The new law has employees contributing 7.5 per cent up to the maximum pensionable earnings, and 9 per cent for any earnings over, making it a 3 per cent increase under the old law. Pension contributions are tax deductible meaning that the effect on an employees take home pay will be smaller than 3 per cent according to an internal university memo. “In fact, all employees received annual salary scale increases and many also received annual step increases, regular progression within pay scales, as outlined, and agreed to, in the collective and employee agreements,” said Mary-Jo Barr, the University spokesperson. The CULEU has been without a collective agreement since August 2017, mainly due to the issue surrounding the new pension law. While Cluff has been preparing to negotiate a new collective agreement with the school, they have yet to meet with them. “Conversations will soon be held with CULEU to discuss scheduling of meetings for the next round of negotiations,” Barr said. The Concordia University Part-Time Faculty Association is also in the same situation. Their collective agreement expired on Dec. 31, 2017, the day before the new pension law was put into effect. CUPFA has already began negotiating with the school on their new collective agreement, but have yet to discuss anything “money” related according to Patrice Blais, CUPFA’s vice president collective agreement and grievance. He added that compensation for the new pension contribution was something they’re going to be looking at as well, but he expects to be discussing that during the fall. Negotiations on the last CUPFA collective agreement took about two years. The CULEU had also been without a collective agreement for almost two years as well. Cluff is hopeful that the union and the university can enter negotiations during the spring.